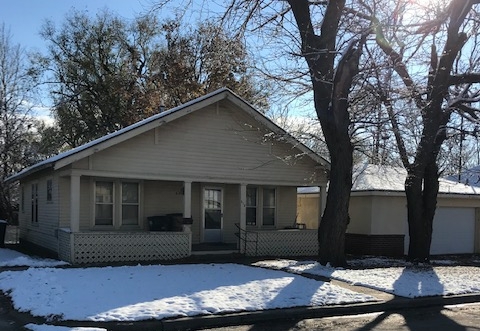 312 N. ELM, HOISINGTON, KS – 3-Bedroom, 1-Bath Home with Central Heat. Sells with Stove, Refrigerator, Washer & Dryer. 2-Car Detached Garage. TERMS: $1,000 Down on Day of Sale. Balance Due In 30-Days Or Sooner With Title Approval. Title Insurance Will Be Used, Cost Will Be Shared 50/50, Between Buyer and Seller. 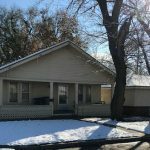 TAXES: 2018 Taxes and All Prior Years To Be Paid By The Seller. 2018 Taxes Were $602.76.